Originally announced in January, the Handling Speciale package adds Grigio Ferro Met accents on the grille and rear diffuser. Ferrari has introduced the new Handling Speciale package for the California T at the Geneva Motor Show. Originally announced in January, the Handling Speciale package adds Grigio Ferro Met accents on the grille and rear diffuser. Models equipped with the package also feature a new exhaust system with matte black tailpipes. The changes are more than skin deep as the package also includes stiffer springs, revised magnetorheological dampers, and a reprogrammed F1-Trac system that promises to deliver "even better acceleration." Lastly but not least, there's a modified gear-shift logic for the Manettino’s Sport mode. 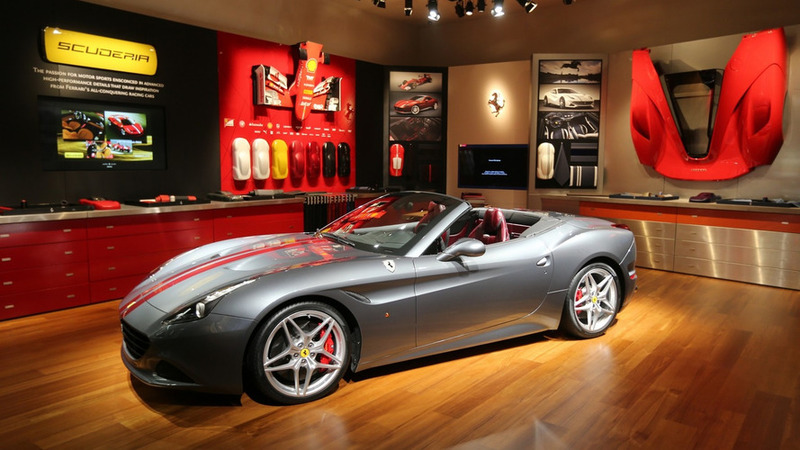 To help promote the package, Ferrari showcased two California Ts equipped with the Handling Speciale package. The first has a Rosso Corsa Met and Nero Stellato exterior with a black cabin that features an assortment of carbon fiber components. The other model was created by the company's Tailor Made division and it draws inspiration from the 250 GT Berlinetta SWB. As a result, it has a Grigio Scuro exterior a dark red racing stripe, a black diffuser, and chrome tailpipes. 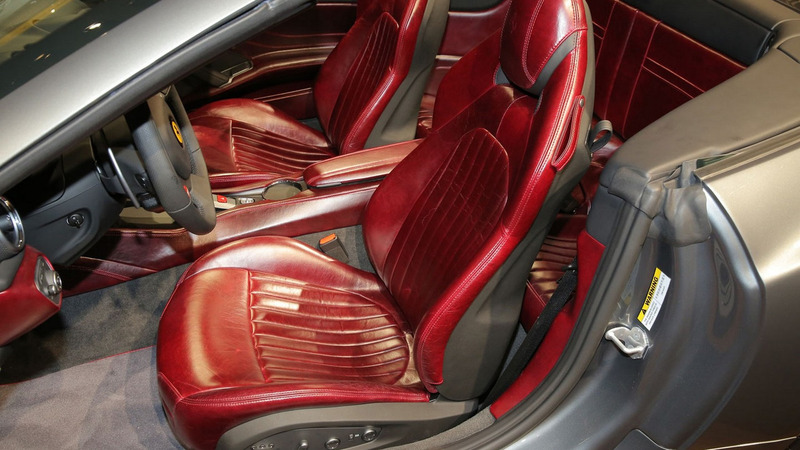 The model also has a black grille and a Heritage Bordeaux leather interior.